MOOQ is fighting for the quality of Open Education, OER and MOOCs at the international WOERC 2017! The European and international initiative is supporting the Satellite Events on the OER quality. The quality of MOOCs is challenged and questioned from the very early beginning. MOOCs are “Massive Open Online Courses” and were introduced in the year 2008: The first MOOC was called “Connectivism and Connective Knowledge” (CCK08) and organized by Stephen Downes and George Siemens. Many MOOCs followed leading to a peak in the year 2012 that was also called the “Year of the MOOCs” by the New York Times. Currently the hype is over but the number of MOOCs and their online learners are continuously increasing. The European Alliance MOOQ and the global membership organization ICDE have signed a Memorandum of Understanding for a close cooperation. The two leading international initiatives for online learning confirm a shared quality vision and interest in the field of open education. Christian M. Stracke, MOOQ coordinator, and Gard Titlestad, ICDE Secretary General, who signed the MOU, are convinced that the collaboration will provide benefits for the whole community worldwide. A first focus will be the improvement of the quality of Open Education and Massive Open Online Courses (MOOCs). OpenEDU4ALL: Call for Papers is extended! You can still submit your paper until 3rd of July 2017! Quality in MOOCs: We need your help and opinion! Please support our Global MOOC Survey! We have launched the first Global Survey on the Quality of Massive Open Online Courses (MOOCs). Already several hundreds have contributed but we need all opinions and in particular your view! Thank you very much for your kind help and for sharing your experiences! UNITAR as fourth UN organization next to UNESCO IITE, FAO and ITCILO commited to support the Global Survey on the Quality of MOOCs, see: www.survey.mooc-quality.eu ! 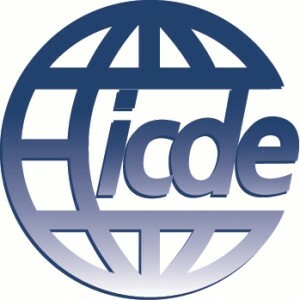 This first Global Survey on the Quality of Open Education and Massive Open Online Courses (MOOCs) gains more and more recognition and backing by foremost international associations and institutions, among them the International Council for Distance and Open Education (ICDE), Open Education Consortium (OEC), International Community for Open Research and Education (ICORE), Commonwealth of Learning (COL), European Association of Distance Teaching Universities (EADTU), European Distance and E-Learning Network (EDEN), European Association of Technology-Enhanced Learning (EATEL), Contact North (CN) and many more. The ICORE and MOOQ Workshop on Quality of MOOCs at EC-TEL is inviting you! Join our interactive workshop on 13th of September 2016 at the EC-TEL Conference in Lyon! The workshop is jointly organized by MOOQ and ICORE supported by UNESCO IITE, OEC and other organizations at the 11th EC-TEL Conference, the leading event on technology-enhanced learning.